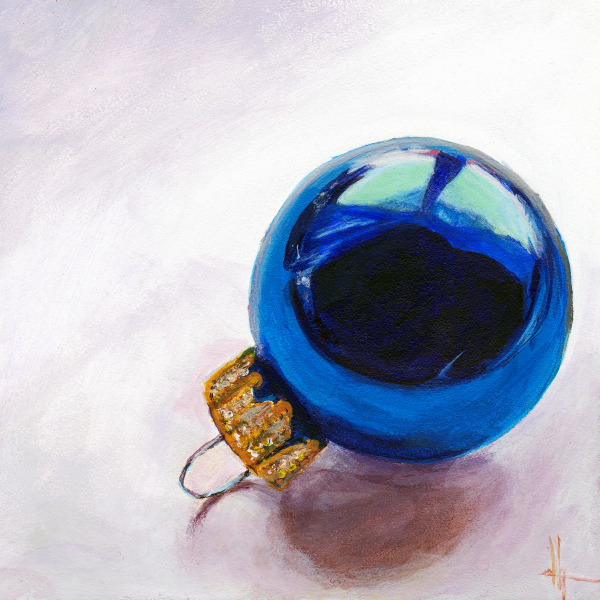 diana lynn's painting a day: Bauble. Christmas tree jewelry. I have wanted to paint a Christmas tree bulb ever since I saw a painting of one... years ago. They are so beautiful, reflective, fragile and they seem to be the keepers of all the good Christmas memories. I am happy with the finished piece and the way it turned out. It was a joy to paint.